All PLCs use an original Arduino board inside. The Ethernet family PLCs (M-Duino) use an original Arduino Mega. The 20IOs PLC (Ardbox) use an original Arduino Leonardo. The original one. This is the most used platform to use Arduino boards. It is not necessary to modify any libraries to use Industrial Shields PLCs with this software. Anyway there is available an open Industrial Shields library available in GitHub. You can use also Scratch but S4A platform is adapted to be used with Arduino boards. S4A include new block diagrams to work with sensors and actuators conected on Arduino based PLC. 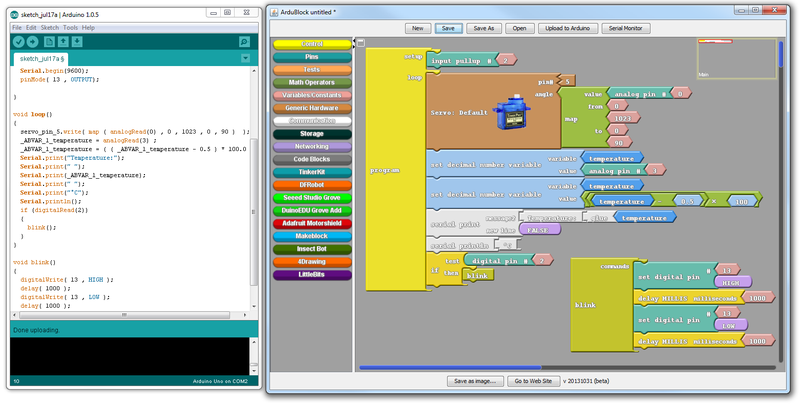 This is a graphical environment to programm Arduino using blocks. 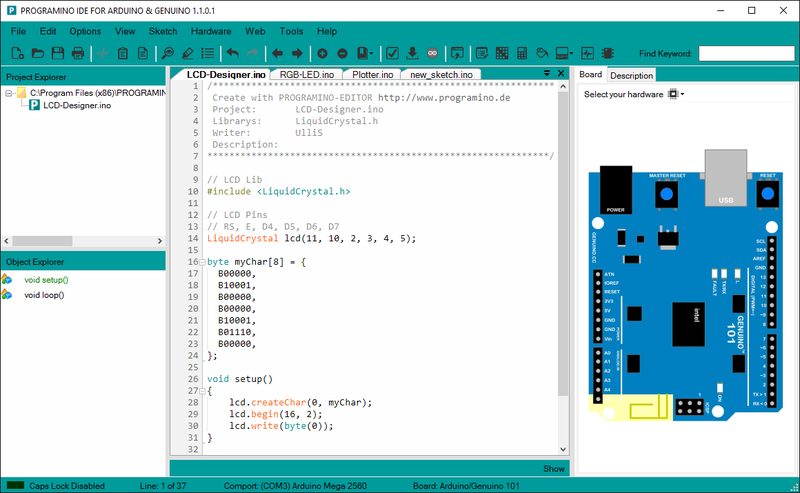 Users can see how the graphical platform develop the Arduino code to be used on the Arduino IDE and uploaded on the Arduino board. This is a visual editor based to work on the web. It is based on Blockly by Google. There is available the GitHub files to install on your laptop. 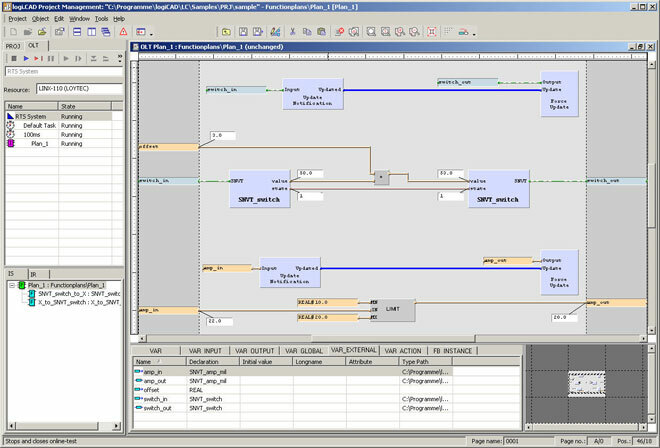 This is a software tool for programming diferent kinds of microcontrollers. You can use some IEC61131 editors as Structured Text and Function Block Diagram. 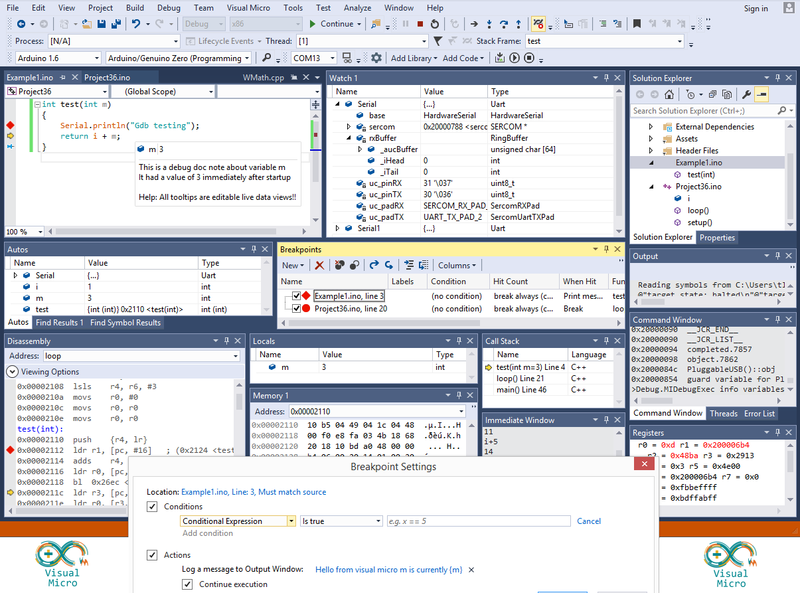 There is available a PLUGIN to use Visual Studio on Arduino. This is a visual and graphic environment to develop Arduino aplications. It is possible to create diferent kind of aplications from the industry or IoT by a simple drops and conections using graphical blocs. Visuino will generate the arduino code to be uploaded on the Arduino based PLC. This is a simple way to start using a graphic platforms to program. Software aplications: (PID controllers, RS485 communication ports, Ethernet, etc). This is a Real-Time software to interact with the PLC. It is a good aplication to test diferent kind of connections. After the test it is easy to develop the full aplication. It is a graphical platform to programm Arduino which let to implement embedded controllers program easily. Grape will generate a C++ code which have to be uploaded on the Arduino board. 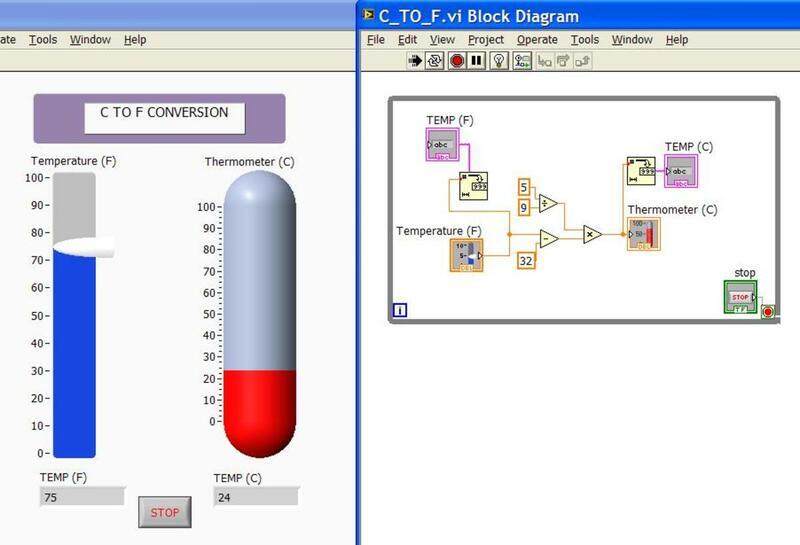 There is available an Arduino compiler on LabVIEW which is developed by National Instruments. There is a good way to interact with your arduino based PLC by a graphical platform. It is necessary to download the Arduino TM compiler to use LabVIEW.